Editor’s Note: Five years ago MHB posted the letter from James Tracy to the Sun-Sentinel and accompanying statements republished below. The newspaper and its editor, Howard Saltz, played key roles in circulating fraudulent and deceptive reports and commentary on the Sandy Hook Elementary School massacre, Boston Marathon bombings, and subsequent mass casualty events, while Sun-Sentinel editorial staff took aim at FAU Professor James Tracy for analyzing such events on his personal blog, Memory Hole. Saltz’s inflammatory articles targeting Tracy culminated in a December 11, 2015 opinion piece purportedly authored by Lenny and Veronique Pozner, parents of a Sandy Hook child victim, according to the incident’s official narrative. 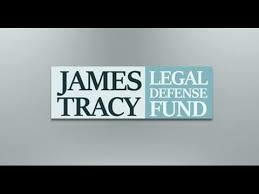 On June 3, 2013 James Tracy sent a letter to Sun-Sentinel editor-in-chief Howard Saltz citing the paper’s repeated attacks on Tracy for publicly questioning government pronouncements and overall news coverage of the Sandy Hook massacre and Boston Marathon bombing. 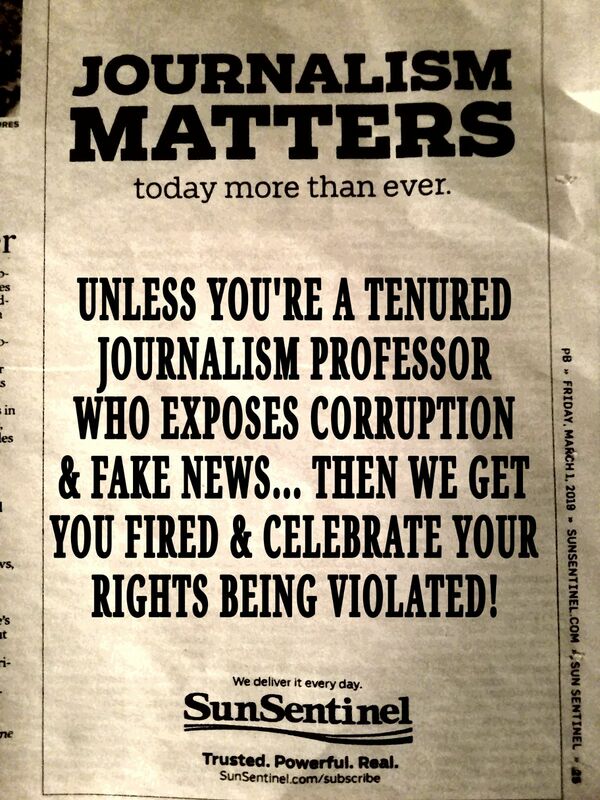 In a June 17 response to the letter Saltz maintains that the Sun-Sentinel’s remarks are defensible given its newsworthiness and under the tenets of free speech. 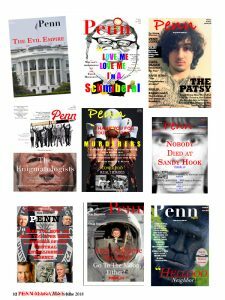 Tracy’s article, “The Sandy Hook School Massacre: Unanswered Questions and Missing Information,” received wide circulation in alternative media outlets in late December, immediately prior to the Sentinel‘s string of stories and commentaries highlighting Tracy. The letter is reprinted in its entirety below followed by excerpts from Saltz’s response. 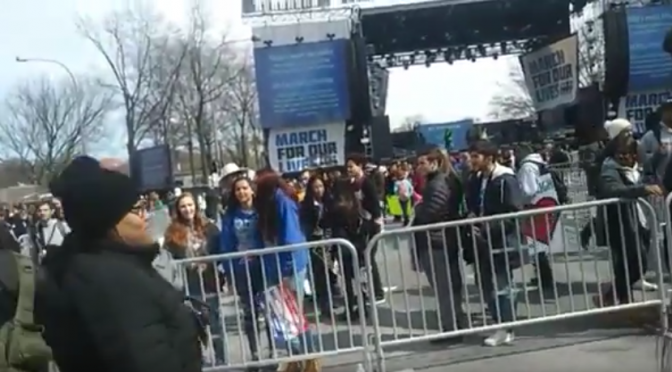 I am writing in reference to the numerous articles and opinion pieces published by the Sun-Sentinel regarding my public commentaries on the December 14, 201 Newtown massacre and the April 15, 2013 Boston Marathon bombing. Without seriously assessing what I have actually sought to argue, each of these pieces have almost without exception vigorously assailed my character and overall assessment of these public events while advocating for dismissal from my faculty post at Florida Atlantic University, implying or explicitly calling attention to my alleged moral or even mental incapacity to hold such a position. Taken as a whole, the uniformly negative nature of such articles and commentaries can be considered as nothing less than a concerted campaign against me and is arguably libelous. “A tenured professor has to spout a lot of craziness before you can oust one … I find conspiracy theorists fascinating. They view the world through a permanent prism of distrust and paranoia. Maybe they were dropped on their head when they were babies, or it’s something in the genes.” Chan Lowe, “FAU Prof’s Sandy Hook Conspiracy Theory,” January 11, 2013. 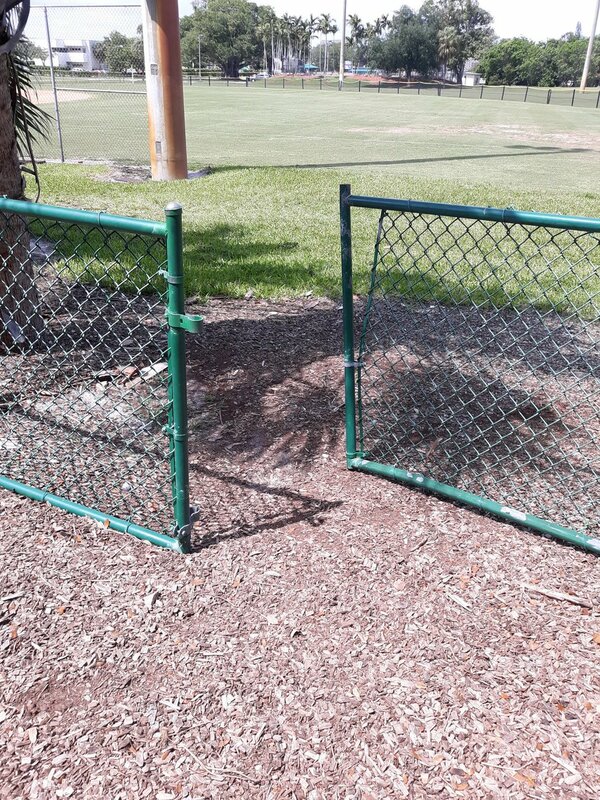 “So score another one in the weird column for FAU … After taking a public relations hit last month with the wacky Internet musings of tenured communications professor James Tracy about the Sandy Hook Elementary massacre …” Michael Mayo, “FAU Stadium Deal with Prison Company is Odd Way to Feather Nest,” February 20, 2013. “Unveil latest course offerings at school’s ‘edgy’ communications department: ‘Muhammad Cartoon Drawing 101,’ ‘Advanced Holocaust Denial,’ and ‘Professor James Tracy’s Lies, Damn Lies and Conspiracies.’” Michael Mayo, “How Low Can FAU Go?” March 27, 2013. “ … professor James Tracy’s blog musings about the Sandy Hook massacre … “ Michael Mayo, “FAU President Says She’s ‘Totally Secure’ in Job,” April 3, 2013. “ … FAU’s conspiracy theorist.” Scott Travis, “Controversial FAU Professor Questions Boston Bombing,” April 23, 2013. “‘Our own FAU handbook says an employee may be terminated for questionable conduct, professional or personal,’ [FAU] trustee Robert Rubin said. ‘And what Professor Tracy said wasn’t?’ But making comments that are embarrassing to a university is not grounds to fire a tenured professor … “ Scott Travis, “Controversial FAU Professor Questions Boston Bombing,” April 23, 2013. 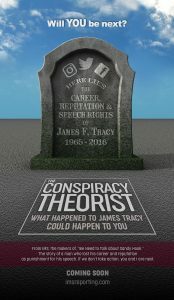 “Florida Atlantic University professor James Tracy … obviously needs a hobby so he can stop coming up with crackpot theories.” Gary Stein, “Should the FAU Professor be Fired for Off-the-Wall Theories?” April 25, 2013. “FAU Professor James Tracy offered his opinion on the recent events that occurred in Boston in the Sun Sentinel on April 24 … While the vast majority of our university professors tend to be to the left of the political spectrum, most of them try to minimize mixing their ideological views with their professional responsibilities. There are others however, who use their title and position to intimidate and coerce students who do not subscribe to their way of thinking.” Caren Besner, “Some Professors Trying to Force Views on Students,” May 7, 2013. “Forget the Clowns, Send in the headlines! … James Tracy’s musings …” Michael Mayo, “More Questions at FAU,” May 8, 2013. “And everyone got mad when tenured communications professor James Tracy started spouting conspiracy theories about the Sandy Hook Elementary massacre and Boston Marathon bombings on his personal blog.” Michael Mayo, “FAU President’s Resignation No Surprise,” May 15, 2013. 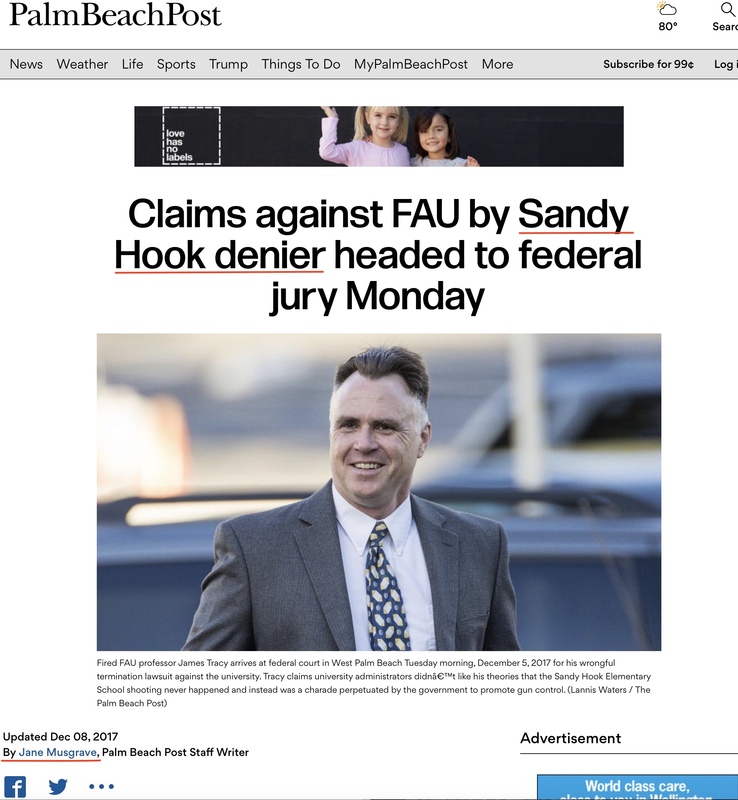 “It didn’t help that Saunders had to deal with a wacko professor who twice made national news for doubting the veracity of the massacres at Sandy Hook Elementary School and later, the Boston Marathon.” Sun-Sentinel Editorial Staff, “What’s Next for FAU, Given It’s President’s Resignation,” May 16, 2013. “As president, [Mary Jane Saunders] could not be blamed for the antics of some of her faculty (conspiracy theories …), Chan Lowe, “FAU’s Saunders Resigns,” May 16, 2013. *Note: The memoryholeblog.com site had existed since March 2012. 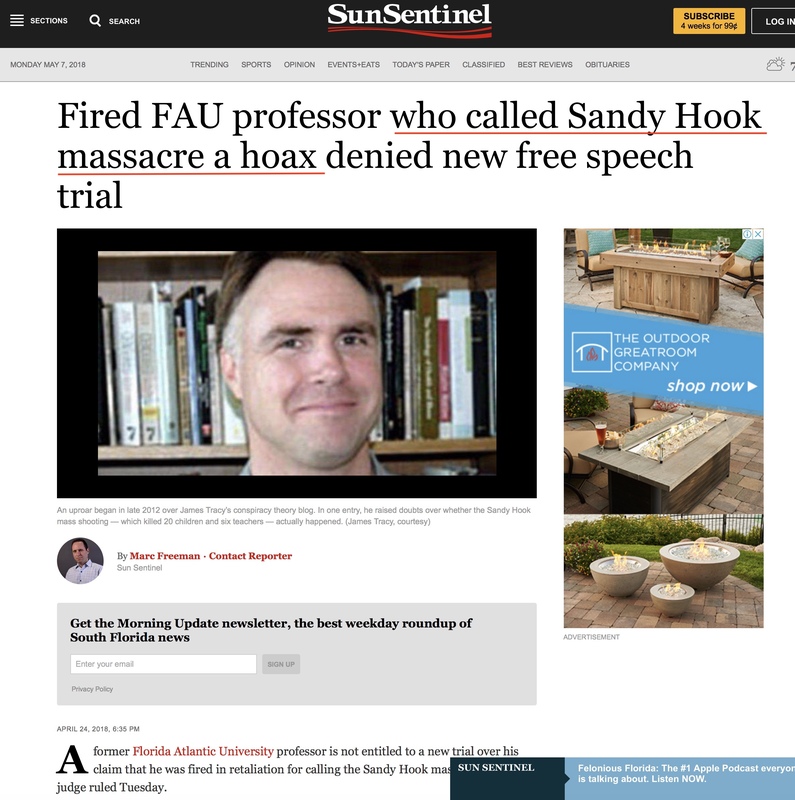 The blog and I were thrust into the national news only after the Sun-Sentinel published its January 7, 2013 story, “FAU Prof Stirs Controversy by Disputing Newtown Massacre.” Thereafter the Sun-Sentinel repeatedly refers to the “controversy,” suggesting its spontaneity, even though the paper played a major role in initiating and perpetuating it. 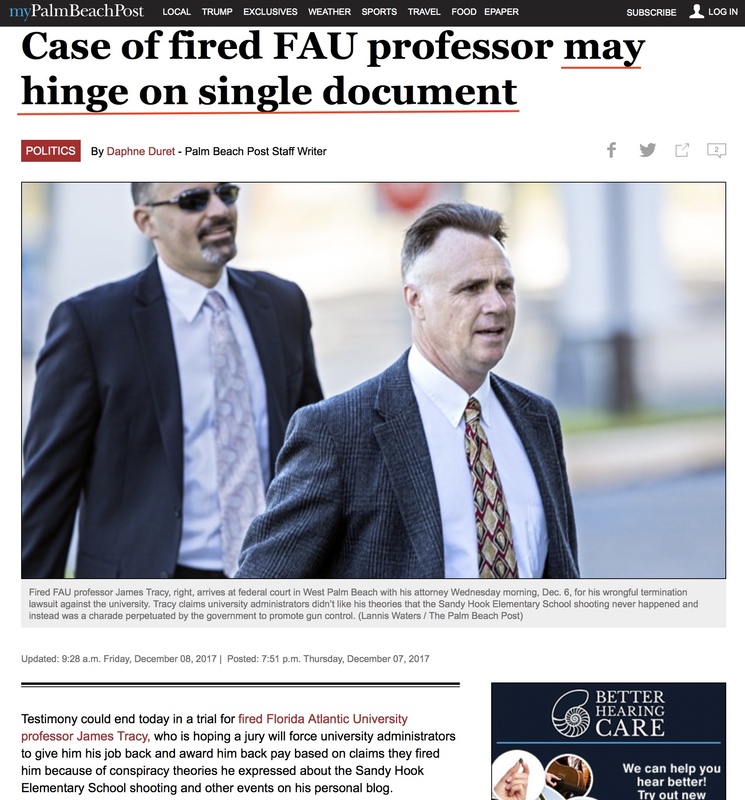 “But I was also dismayed because the Sun Sentinel chose to put the article on the front page, needlessly giving more attention to this nut-case than he deserves.” Richard Mangan, “Give FAU a Break,” April 28, 2013. 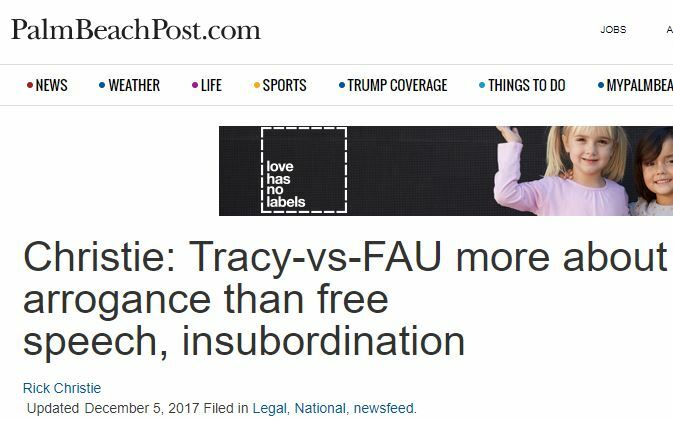 “FAU professor James Tracy certainly has to have his First Amendment rights protected. However, if the students are as rankled by his blogs as many of us are, just don’t register for any of his classes.” Mike Marcus, “Don’t Attend James Tracy’s Classes,” April 28, 2013. “When will this insanity stop? FAU associate professor James Tracy should be fired immediately. A person with his kind of thoughts has no place teaching young adults. Who knows what a mentally disturbed person like Tracy could do in the future. Let us stop hiding behind tenure.” David Hofield, “Why Should Tracy’s Tenure Matter,” April 28, 2013. As the above examples clearly indicate, the Sun-Sentinel has repeatedly attacked my person and character. Your paper and staff have on numerous occasions published material suggesting that I be relieved of my position. At no time, however, has your paper sought to seriously dispute what I have said or written concerning Sandy Hook or Boston, instead choosing to ride the tide of poorly informed public outrage it has played a major role in fomenting. Such conduct is not so much journalistic as it is political. As noted above, the entire controversy regarding my analysis of Sandy Hook massacre news coverage can be traced to a January 7 story written by Sun-Sentinel senior reporter Mike Clary. Clary expressed his delight that the story was picked up nationally in a January 8, 2013 telephone conversation with me. He again drew attention to this a few days later in a follow-up piece. “A Monday story in the Sun Sentinel in which Tracy discussed his views went viral and touched off a firestorm of controversy,” Clary wrote. “While many callers and emailers defended or even applauded Tracy’s remarks, others, including current and former FAU students, said they found his theories outrageous and offensive.” Mike Clary, “FAU Prof Should Be Fired, Newtown Official Says,” January 10, 2013. Thus much of the “controversy” the Sun-Sentinel repeatedly points to with the underlying suggestion that it is spontaneous can be traced to its initial story—a story that your staff clearly sought to make as sensationalistic as possible. 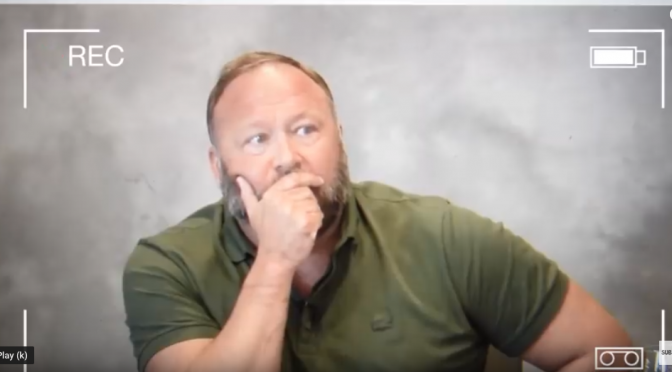 On the evening of January 7 in a telephone discussion with Mr. Clary, your reporter forcefully and repeatedly pushed me to assert that the Sandy Hook Elementary School massacre was staged. 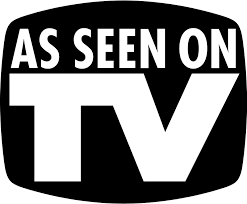 He seemed irritated when I responded to his queries by remarking, “It’s a possibility,” or “The coverage suggests that it may have been.” My responses mirror the commentaries on my blog. Further, in our initial telephone interview on the afternoon of January 7 Clary sought to question me under a false pretense—stating that he had been informed that the FAU administration was potentially initiating disciplinary action against me because of my blog. I have been told by one reliable party working within the FAU administration at the time that administrators knew nothing of my blog until Clary’s January 7 article was published and thereafter became a national story. Indeed, I was never spoken to by administrators about my blogging until January , [two] weeks after Clary’s initial story ran. I have done a considerable degree of research on both the Newtown massacre and the Boston Marathon bombing. With the above in mind, and since the Sun-Sentinel is a newspaper with a skilled staff and a significant regional and national influence, I formally challenge you or any member of your editorial or reportorial staff to a public debate on the veracity of either Sandy Hook or the Boston Marathon events as related by government and law enforcement agencies, as well as in your newspaper and by the US press more broadly, versus the arguments that I have put forth. I am sure you will agree that such a dialogue will be of special value since it will move us beyond tactless name calling and toward consideration of substantive evidence and analysis of events with major import. If you are confident enough in your particulars of how each of the events transpired, as suggested by the paper’s continued publication of such such serious and continual denunciations of my being and character, I am confident that you or your staff will be pleased to engage me in such an exchange. If you agree to my challenge, arrangements for a suitable public forum and accommodations will be negotiated between your staff and me. 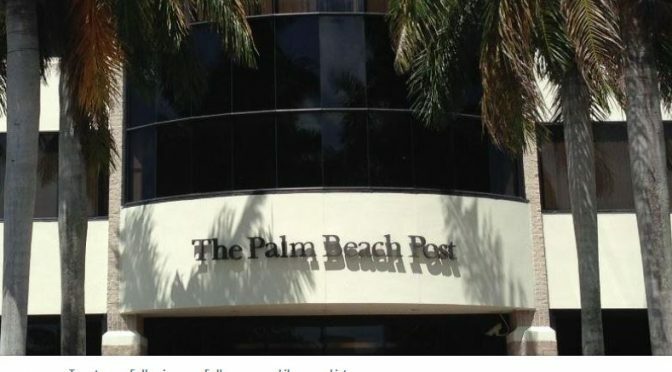 If the Sun-Sentinel prevails in such a debate the public will be reassured of the paper’s devotion to truth, journalistic integrity, and the censures of me will be wholly justified. I will thereafter devote myself to further contemplating and learning from the flurry of disparaging coverage and remarks your staff and its regional broadcast peers have directed toward me and my person. If you are not successful in the exchange you will publicly apologize for the uniformly negative series of reports and commentaries your newspaper has published about me over the past five months. Thank you for your consideration of the above. I look forward to your reply. There is no concerted effort. Reporters and columnists are looking for stories, as they always do. And they’re finding stories in this situation. Are the stories you cite legitimately newsworthy? I say yes. 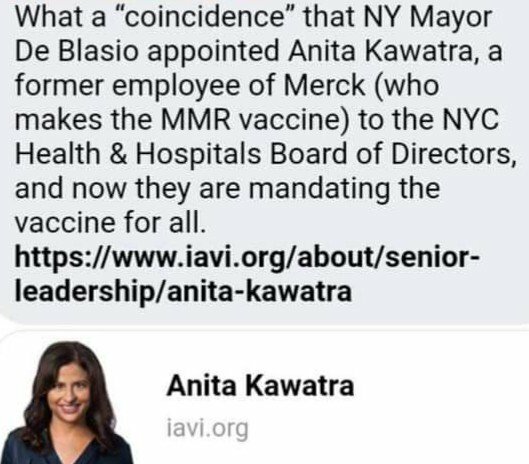 You’re a high-profile member of the community, in a position to influence others, espousing viewpoints that are unusual and perhaps inflammatory. That’s newsworthy, almost by definition. You suggest in your letter that you may have been libeled. I am quite comfortable in my belief that the SunSentinel has not libeled you. We will therefore act accordingly. The facts provided in the articles are, to the best of my knowledge, correct and true. If you believe there is an error of fact in our coverage, please feel free to tell me. You have not cited any in your letter. The opinions expressed are within the bounds of fair comment. You advocate unusual theories; people will always challenge unusual theories and, perhaps unfortunately, some will be offensive in doing so. The people expressing these opinions are using the same free-speech right with which you espouse your views. We would not engage in debate. That’s not what newspapers do. Your suggestion confuses our reporting of positions contrary to yours with taking positions contrary to yours. They are not the same thing. If you engage in a public debate with someone else, we would report that. You could also express your views on the Newtown and Boston Marathon situations in an op-ed article; I would be happy to publish it. Our news coverage has not judged the merits of your arguments. It never will. We will report them, and let the chips fall where they may. American academics will soon realize that their jobs are in jeopardy, if they don’t know it already. Not only their jobs, but their right to think, say, and write what they wish – and to engage in the pursuit of truth, wherever it may lead them. 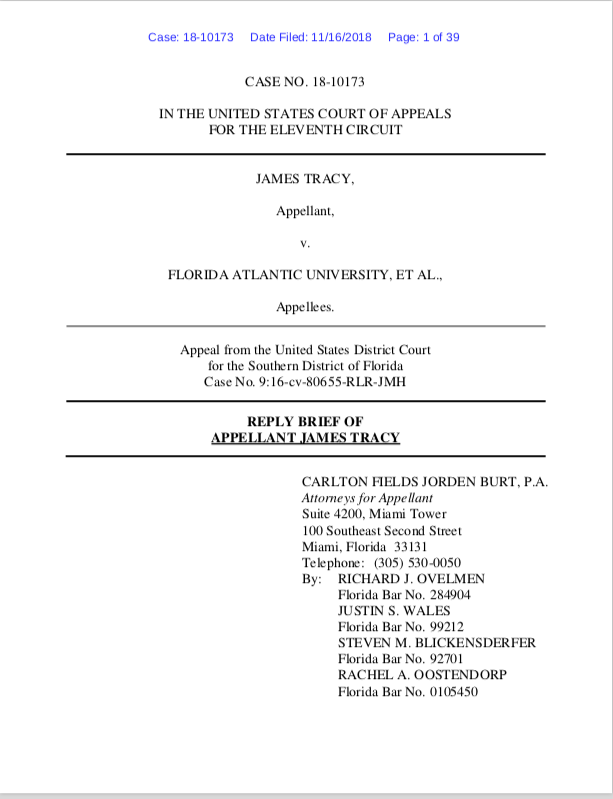 A battle of epic proportions is about to begin, over the firing of Dr. James Tracy, for alleged infractions against Florida Atlantic University (FAU) in Boca Raton. Tracy contends that his First Amendment right to free speech was abridged, along with his rights to due process and academic freedom. Tracy was dismissed from his tenured position as Associate Professor of Multimedia Journalism at FAU on January 6, 2016. On April 25, he filed a civil rights suit against the university, including the President, Provost, and other top officials, as well as members of the Board of Trustees and representatives of the faculty union. 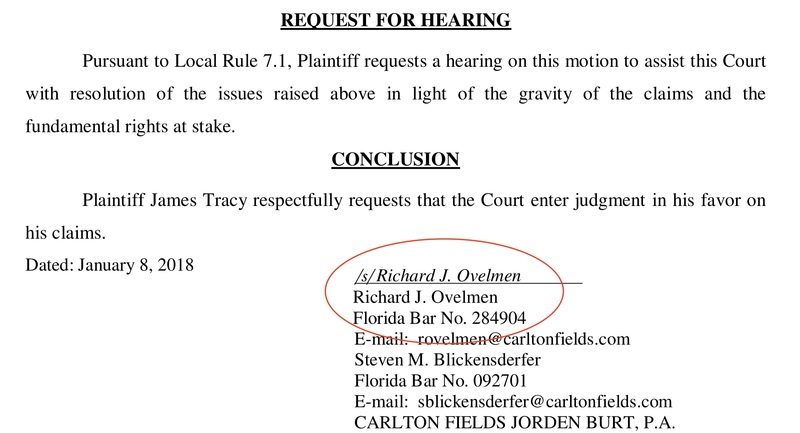 His complaint calls for reinstatement with back pay, compensatory and punitive damages, and a declaration that FAU’s controversial “Conflict of Interest/Outside Activities” policy is unconstitutional.